All Aguila homes currently listed for sale in Aguila as of 04/25/2019 are shown below. You can change the search criteria at any time by pressing the 'Change Search' button below. If you have any questions or you would like more information about any Aguila homes for sale or other Aguila real estate, please contact us and one of our knowledgeable Aguila REALTORS® would be pleased to assist you. "This custom-designed Santa Fe house began when the owner wanted a Kiva fireplace at eye level for dinner guests to enjoy & then move to the living room to enjoy the floor level fireplace for the evening. The design evolved to a comfortable house with two master suites with separate fireplaces & exits. Extreme attention was given to high-quality throughout the house & 3,000 sq. 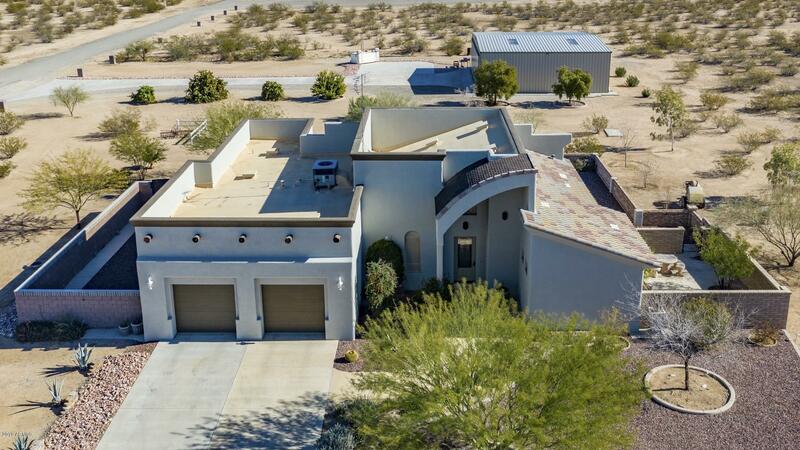 ft. hangar, gourmet kitchen, granite & Spanish marble tile & countertops, geo-thermal heating/cooling & additional feat"
"This special property features a contemporary 2 bedroom, 1 3/4 bath, office & family room with wall-to-wall travertine floors & granite countertops. The home was constructed with Rastra Block & finished with stucco for high energy efficiency. Covered Patios & a huge Courtyard for outdoor living are accessible from the Master & Guest Bedroom Ensuites. An open entry leading to the dreamy Chef's Kitchen & family room is gorgeous! 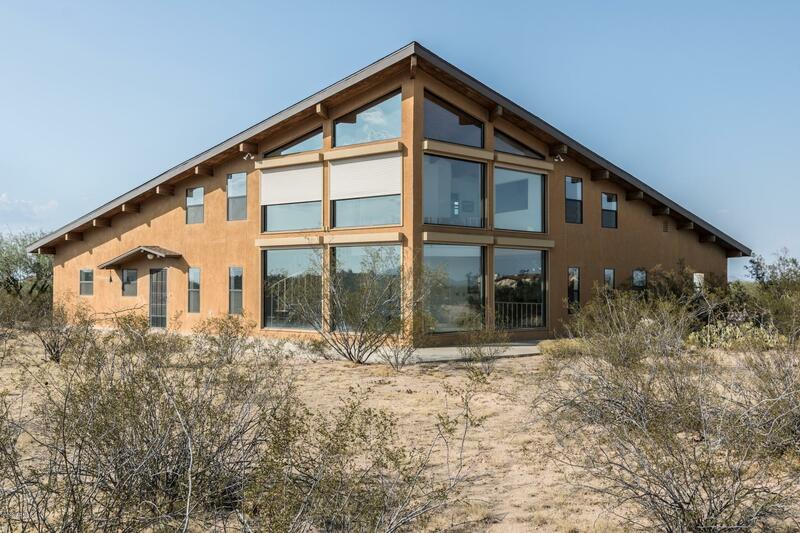 The 50'x46' fully-insulated hangar is complete with bathroom, workbe"
"INCREDIBLE Tri-level custom home on 5 acres in private gated airpark. Master suite loft with sunken hot tub. Unbelievable views of Eagle Eye Mountain, full finished basement plus storage area, pool table, office/den/craft/art room, Spiral stair case, knotty pine wood beam ceilings, full wall picture windows, even zoned for horses. 50 x 60 hangar with upstairs office, storage loft plus another room and bathroom in hangar. 2 bay fully enclosed 30 x 60 RV garage. AMAZING home ... pilots DREAM ." 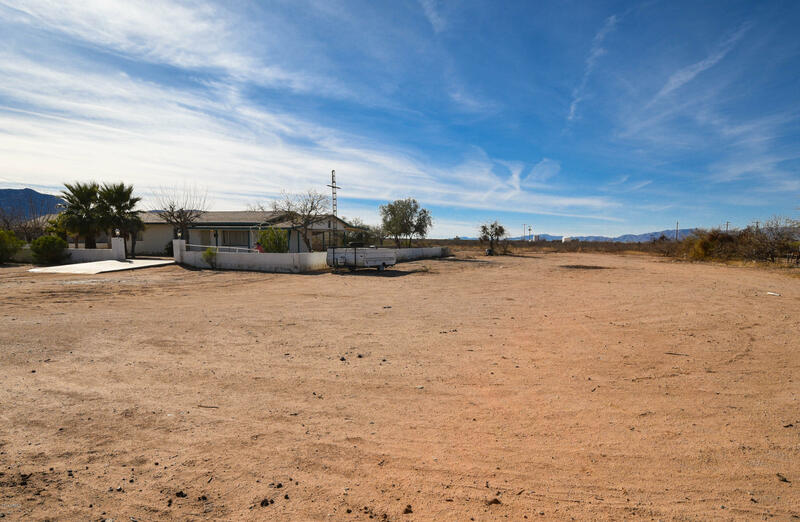 "6.5 acres with manufacture home and garage, plus additional octagon building, approx.1200sq foot this will have to be checked out, home is 72X28 sq. ft. and large garage is 24x24sq.ft . The main home is a 4BR, 2BR, with Kitchen and den, dinning and Living Room with a wrap around porch that has wheel chair ramp access to the house. Nice out side porch to visit on with stairs that go 3 different ways with framed in concrete and steps and a hand rail for safety, home has AC and Evap cooling, the h"
"SELLER SAYS ''SELL THIS PROPERTY''THE CCR'S SAY ''HORSES YES''FANTASTIC AFORDABLE AIRPARK LIVING WITH GREAT HANGAR AND EASY LIVING HOMEHANGAR IS 45 X 50 NOT MORE THAN 100FT FROM YOUR BACK DOOR... PILOT COMMARADERIE UNMATCHED...FLY-OUTS, POTLUCKS, HANGAR TALK, YOU'LL FIND IT ALL HERE... HARD SURFACE RUNWAY, TAXIWAYS,LIGHTS... IT'S PERFECT...THIS IS AN ACTIVE FLYING COMMUNITY...REMEMBER AIRCRAFT HAVE RIGHT OF WAY AT ALL TIMES...ROADS IN THIS PARK ARE TAXIWAYS..."
"12.03 ACRES!!! 2 PARCELS INCLUDED IN SALE. ONE OWNER! BEAUTIFUL, WELL TAKEN CARE OF HOME. NO HOA. BRING YOUR HORSES!! LOTS OF ROOM FOR YOUR ARENA, STALLS, BARN AND MUCH MORE. 1848 SQ FT. 3 BED, 2 BATH. SPLIT FLOOR PLAN. OPEN FLOOR PLAN. WOOD GRAIN LAMINATE FLOORING. VAULTED CEILING. LARGE PICTURE WINDOWS. SOLAR SYSTEM INSTALLED IN 2012. 25x25 DETACHED 2 CAR GARAGE W/ 220 OUTLET & BUILT IN SHELVING. 42x8 SHIPPING CONTAINER. 2 STORAGE UNITS. 21x19 METAL CARPORT SHADE. WITHIN 30 MINUTES OF WIC"
"Highly Energy efficient 2016 home on 5.33 acres, with income producing RV sites with water/electric/septic. 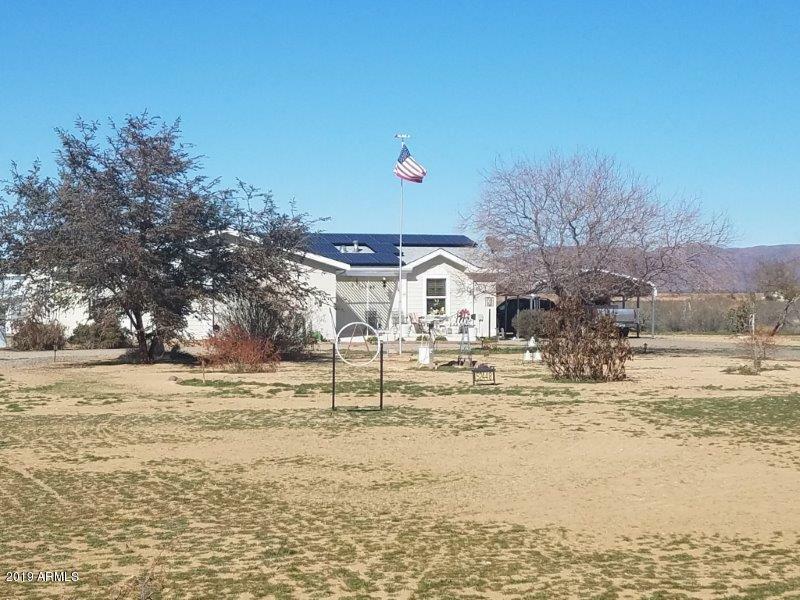 2br 2ba 3 solar tubes, 2x6 construction with R21 walls, R50 roof, heavy duty shingles, R11 floors, dual pane windows, custom cabinets, patio, 2 carports, one will fit a RV or trailer. 10x16 barn, plenty of room for arena, mare motels, shops - so bring the horses or toys. Every thing is permitted, better come take a look. You could miss a good one." 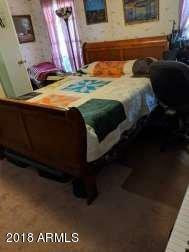 "Horse Property with full set up. 250 feet by 150 foot Roping Arena with 8' return alley, stripping chute.Round pen inlcudeds a bow gate in the NE corner of the arena. 3 pens are 12'x30', 5 pens are 25'x 25' and all have bow gates. There is also a tall container/tack storage room that measures 40'x8' for all your horse needs! 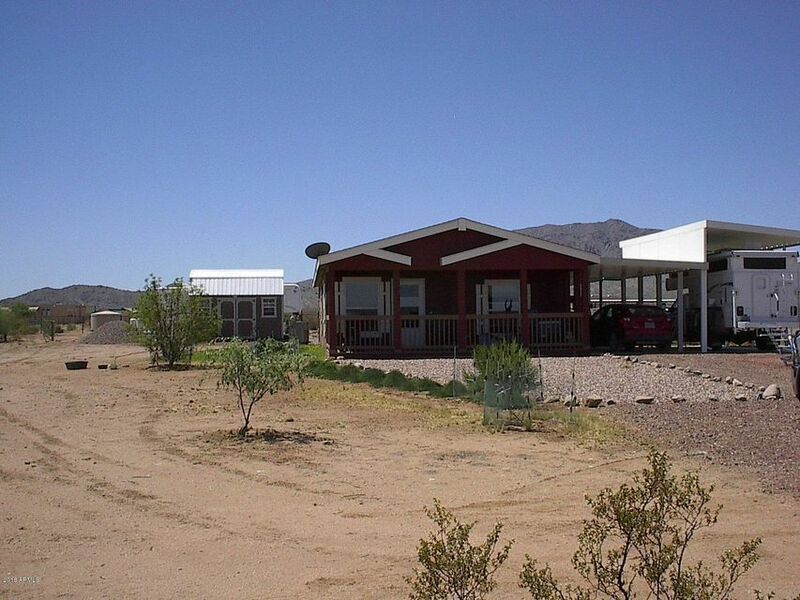 This Charming 3 bedroom 2 bathroom home is all set up for all your horse and personal needs. This house is a Great space for entertaining. 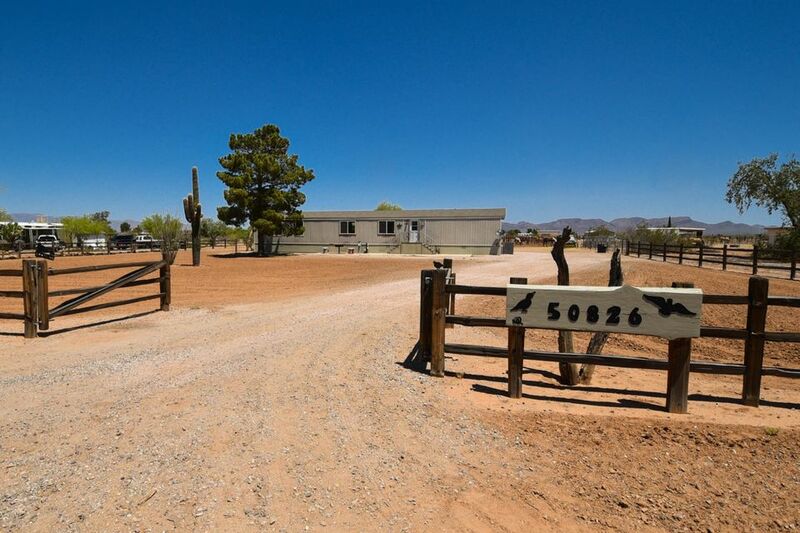 You can accommodate all your frien"
"Wonderful HORSE PROPERTY w/4 Bedrooms and 2 Baths sitting on 7.65 acres of truly FLAT LAND w/surrounding Mountain Views! Endless possibilities for arenas, round pins, turn outs, mare motels and more! Master Bedroom with en suite and private entrance off to the back covered patio! 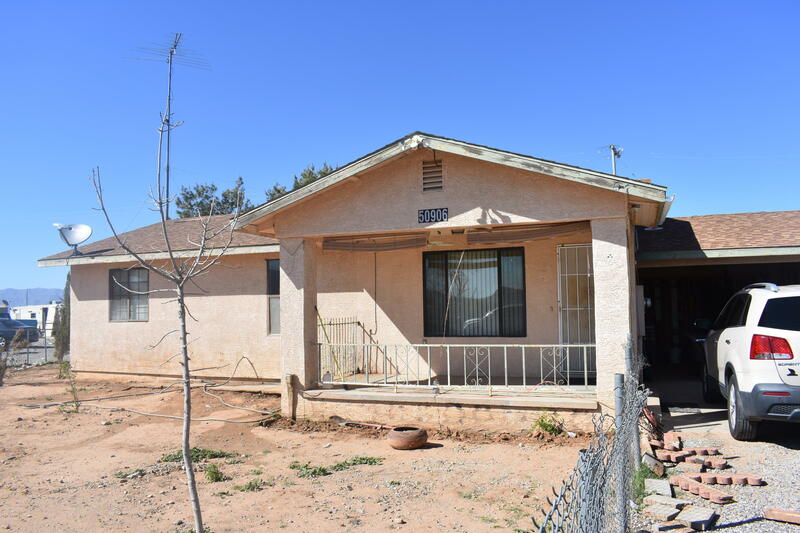 House sits at end of street for privacy and has large storage building and carport. 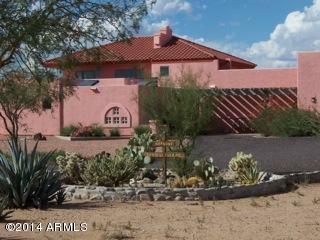 This is a great house w/incredible views and location-Make your appointment today!" "MUST SEE!! Three bedrooms, one bathroom, open floor plan. Frame wood home on 15,161 sqft lot. Fenced all around. Paved street access. Make an offer."